state that Muhammad was a messenger sent by God. Pastor Youcef Nadarkhani recently refused to state that the Muslim prophet Muhammad was a messenger sent by God despite the fact that it would have secured his release, reports Christian Solidarity Worldwide. On December 30, 2011, local authorities said they would release the pastor if he agreed to make the statement, but the pastor rejected the offer and remains in prison awaiting a final decision on his case. The request violates article 23 of the Iranian Constitution, which states that no one should be molested or taken to task simply for holding a certain belief. 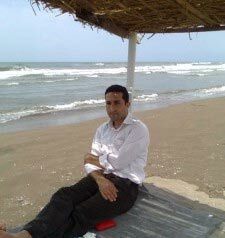 The pastor at the Church of Iran was arrested in Rasht in 2009, and in September 2010, he was tried and found guilty of apostasy and sentenced to death (for more, click here). He was made three similar offers in 2011 where recanting his faith would have saved his life, but he refused each time. His case was eventually referred to Iran's Supreme Leader. Unconfirmed reports indicate that the case may have been passed on to the head of the Iranian judiciary, delaying execution for up to a year to allow time to convince the pastor to renounce his faith. Please keep Pastor Youcef in prayer. Please pray that Pastor Youcef's courage and faith will continue to be an example to the world that the Lord is more valuable than any earthly reward. Please pray that his steadfast resolve to protect the integrity of the gospel message will lead others to salvation. Please pray for his release. Encourage Pastor Youcef with a letter! 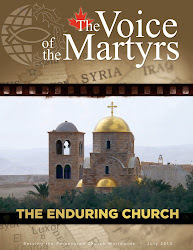 Let Pastor Youcef know that he is not forgotten and that Christians around the world are praying for him. Please note: When writing a letter, never mention the name of the source of your information or the name of any organization such as Voice of the Martyrs or Prisoner Alert. Also, please do not state anything negative about their government. For more information on letter writing, click here. To create a letter using phrases in Youcef’s own language, please visit www.PrisonerAlert.com.